Slung under the belly of a specially-equipped carrier airplane, a Northrop Grumman Pegasus rocket took off Wednesday from Vandenberg Air Force Base on a two-day trek to a remote U.S. military test site in the Pacific Ocean, where crews will ready the air-dropped booster for launch of a NASA research satellite next week. The ferry flight from California to Kwajalein Atoll in the mid-Pacific Ocean will position the Pegasus rocket, its carrier jet, and support teams for final preparations for launch June 14 with NASA’s Ionospheric Connection Explorer, or ICON, a satellite designed to probe the link between Earth’s atmosphere and space weather. ICON is about the size of a refrigerator and weighs a little more than 600 pounds for launch. The $252 million project is NASA’s first mission dedicated to studying the influence of Earth’s weather on the ionosphere, an ever-changing layer in the upper atmosphere that affects long-distance communications and navigation. It will ride into orbit at the forward end of a 55-foot-long (17-meter), three-stage Pegasus XL rocket, the world’s only operational air-launched orbital-class satellite booster. 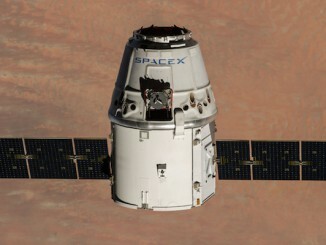 The ICON spacecraft and the Pegasus XL rocket were built by Orbital ATK. In a coincidental confluence of events, the company’s acquisition by Northrop Grumman closed Wednesday. Northrop Grumman announced the conclusion of the transaction soon after the Pegasus rocket’s L-1011 carrier aircraft, named “Stargazer,” left California on the two-leg journey to Kwajalein. 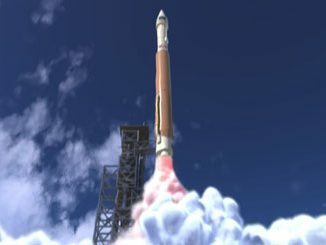 Orbital ATK, formed three years ago by the merger of Orbital Sciences and ATK, now functions as a distinct business unit within Northrop Grumman, and has been renamed Northrop Grumman Innovation Systems. The three-engine L-1011 carrier jet took off from Vandenberg’s concrete runway with the Pegasus XL rocket at around 12 p.m. PDT (3 p.m. EDT; 1900 GMT) Wednesday, heading for an overnight layover at Hickam Air Force Base, Hawaii. A charter jet carrying a team of launch controllers, engineers and technicians departed Vandenberg a couple of hours before the L-1011 carrier jet, also heading for an overnight refueling stop in Hawaii. Both aircraft are scheduled to arrive at Bucholz Army Airfield at Kwajalein Atoll, located in the Marshall Islands, late Thursday, U.S. time. The L-1011 carrier jet will fly through the Pegasus rocket’s planned drop box north of Kwajalein Atoll as it approaches the remote island, situated just west of the International Date Line. The launch team will run through the final steps of the Pegasus countdown checklist, and the U.S. Army’s Reagan Test Site at Kwajalein will activate range tracking equipment to simulate launch day procedures. The rehearsal opportunity will give the Pegasus crew a chance to practice the countdown, and ensure range systems and a mobile control center recently set up at Kwajalein by an advance team are ready for launch day. Once at Kwajalein, support crews will configure the already-assembled Pegasus XL rocket for launch, and engineers will ensure the solid-fueled booster and the ICON spacecraft weathered the nearly 5,000-mile (8,000-kilometer) journey from California unscathed. Another compatibility check between the ICON spacecraft, Pegasus rocket, the Stargazer carrier plane, and the Reagan Test site is also planned this weekend. A final launch dress rehearsal is on tap early next week, including a test of data and telemetry relays between Kwajalein and the ICON satellite control center in Berkeley, California. After final closeouts and launch preps, the L-1011 aircraft will take off from Kwajalein and head north to the Pegasus drop box. The L-1011’s co-pilot will command release of the 51,000-pound (23-metric ton) Pegasus XL at 39,000 feet (11,900 meters) during a planned 37-minute window opening June 14 at 1401 GMT (10:01 a.m. EDT). 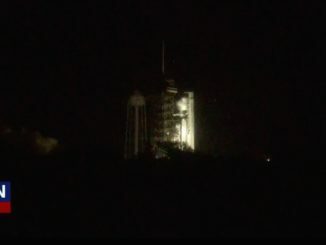 The drop is currently targeted for around 1406 GMT (10:06 a.m. EDT), or 2:06 a.m. Kwajalein time on June 15, to begin an eight-minute climb into orbit roughly 357 miles (575 kilometers) above Earth. Next week’s mission will mark the 44th launch of a Pegasus rocket on a satellite delivery mission, and the 34th in the Pegasus XL configuration with uprated solid rocket motors. It will be the fifth Pegasus mission staged from Kwajalein, a site which NASA and Northrop Grumman officials — then part of Orbital ATK — selected based on ICON’s target orbit and the rocket’s lift capability, which gets an extra boost from the island’s equatorial location. 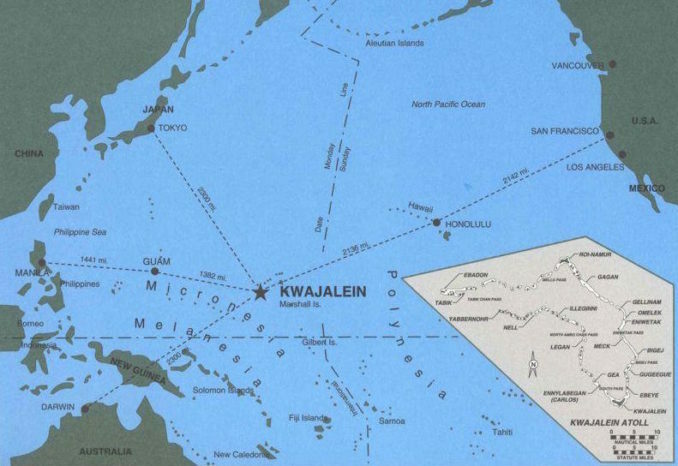 Now part of the U.S. military’s Reagan Test Site, Kwajalein Atoll is part of the Marshall Islands. Before the nation gained independence, the territory was administered by the United States, which took control of Kwajalein, known as Kwaj for short, in a World War 2 battle that left numerous shipwrecks and crashed airplanes in the atoll’s lagoon. Japan, Germany and Spain previously claimed Kwajalein and surrounding islands. Kwajalein is around 2,400 miles (3,900 kilometers) southwest of Honolulu. Equipment needed by the L-1011 carrier jet, Pegasus ground control consoles, and other hardware required during the final days of the ICON launch campaign had to be transported by boat or airplane ahead of time. Denbrook’s team prepared the Pegasus XL rocket for launch at Vandenberg’s Building 1555. Workers assembled the rocket’s three stages, which arrived from a Northrop Grumman facility in Utah already packed with solid propellant, connected the Pegasus XL’s delta-shaped wing and articulating fins, then mated the ICON spacecraft to the launcher last month, a few weeks after its shipment from a factory in Gilbert, Arizona. The final launch processing work included encapsulation of the ICON satellite inside the Pegasus rocket’s nose shroud, and the lifting of the launcher onto a transport trailer. On Saturday morning, crews rolled the Pegasus XL out of Building 1555 to the Vandenberg airfield and under the belly of the L-1011 carrier plane, which was jacked off the ground to receive the rocket. Teams hooked the Pegasus to the aircraft Saturday afternoon, and ran a full checkout of electrical and telemetry connections between the vehicles and the Vandenberg range Sunday. Engineers noticed some unexpected noise in the telemetry channels, prompting a one-day delay in the L-1011’s ferry flight from Tuesday to Wednesday. ICON’s launch was delayed a year by a pair of concerns with its Pegasus launcher. Then managers decided to ground the mission to assess the reliability of bolt-cutters used to jettison the Pegasus rocket’s payload fairing and separate the satellite in orbit. Bryan Baldwin, senior director of the Pegasus program at Orbital ATK, told Spaceflight Now that engineers opted to use slightly smaller quarter-inch diameter bolts for those functions on the ICON mission to ensure the bolt-cutter mechanisms do their job. The quarter-inch bolts have flown on previous missions, and they still meet the Pegasus vehicle’s structural requirements, Baldwin said. 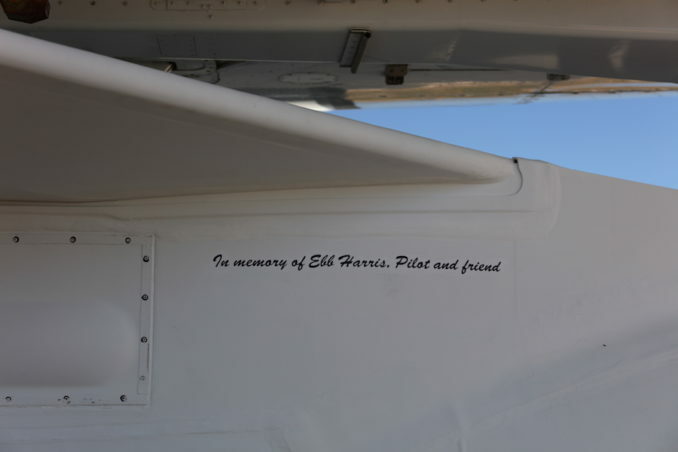 Officials have dedicated the rocket set to deliver ICON to space in honor of Ebb Harris, who piloted numerous Pegasus launch missions since the dawn of the program more than a quarter-century ago. Harris died earlier this year. 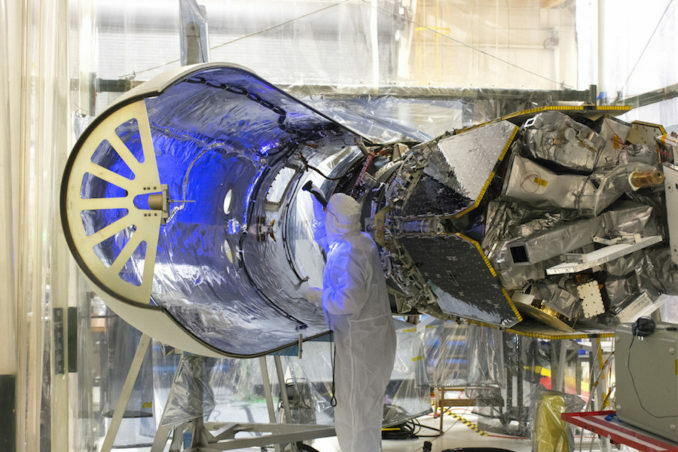 After its launch next week, ICON will go through a month of in-orbit testing before commencing science observations to examine a mysterious connection between the variability of the ionosphere with weather phenomena deeper in Earth’s atmosphere. “The ionosphere is the densest plasma in space between us and the sun, and that plasma has a number of effects on systems that we use every day,” said Thomas Immel, ICON’s principal investigator at the University of California, Berkeley. Previous NASA missions detected a link between the weather in the lower atmosphere to changes in the ionosphere, which scientists had thought was primarily driven by solar activity. “We saw with those missions that the density in the ionosphere varied in response to changes in the rainy seasons in the tropics,” Immel said. “The new mission of ICON is to focus on that topic, and we’re carrying the instruments to invesitgate that region. “We think focusing on that will give us a real key to understanding and making better predictions for space weather,” he said.